Hank's Jalopy Demons are active in seedy late night bars, where they perform their expert renditions of unadulterated rockabilly and hillbilly music. Led by Hank Ferguson, a notorious rockabilly singer specialising in vocal gymnastics and six-stringed acoustic guitar, the Demons also feature guitarist and vocalist Dave Cantrell, who is considered highly dangerous with previous convictions with electric guitars and steel guitars. The hip-shakin' rhythm section features Snappy Vex commanding his bull fiddle and Andrew Lindsay on drums, also known as “Mr Rhythm” in hip circles. Hank’s Jalopy Demons started out by doing the hard yards – playing in rough dingy bars on the wrong side of the tracks (in fact, they still do). After many years on the road, these cats have played all the major rockin' festivals, such as GreazeFest, Viva Las Vegas and the Rockabilly Rave, where they make audiences go flipsville. 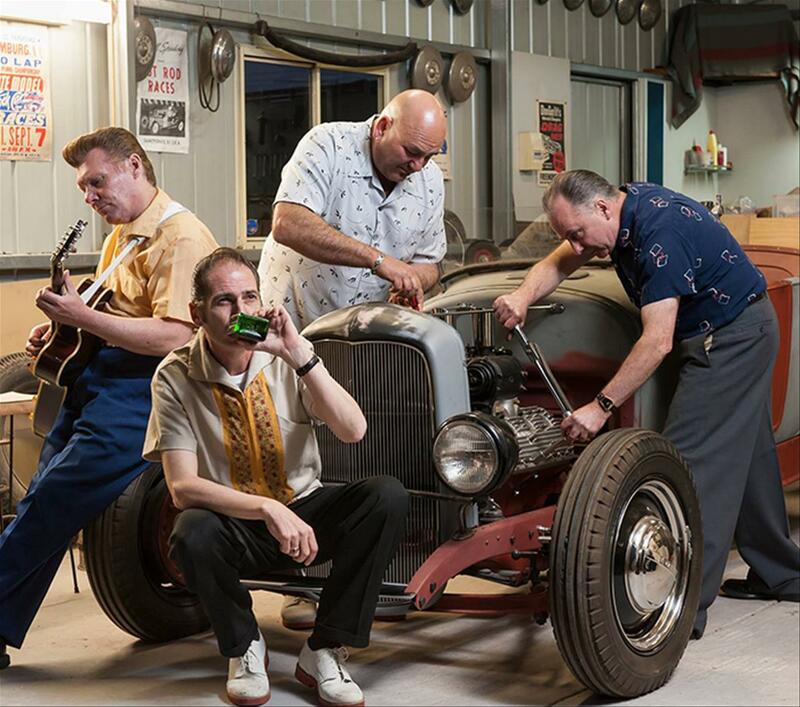 Check out Hank's Jalopy Demons' latest wax 'Music On The Upbeat' and be sure to catch these cool cats when they rattle the can at GreazeFest.